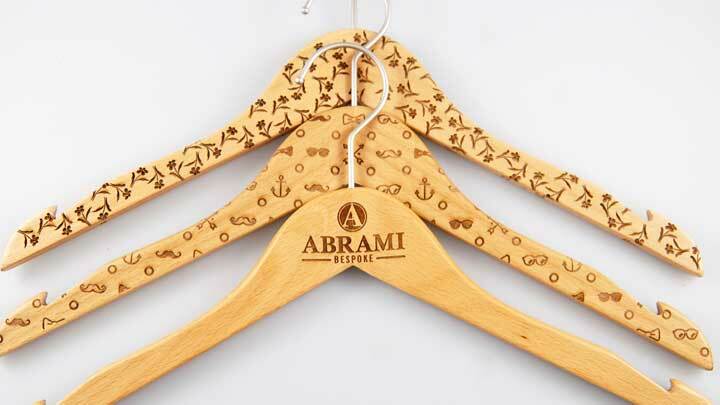 Take your branding and exposure to the next level with these customized wooden coat hangers! Excellent for hotels, offices, bars, restaurants and more, these wooden hangers are functional, stylish, and they engrave beautifully. 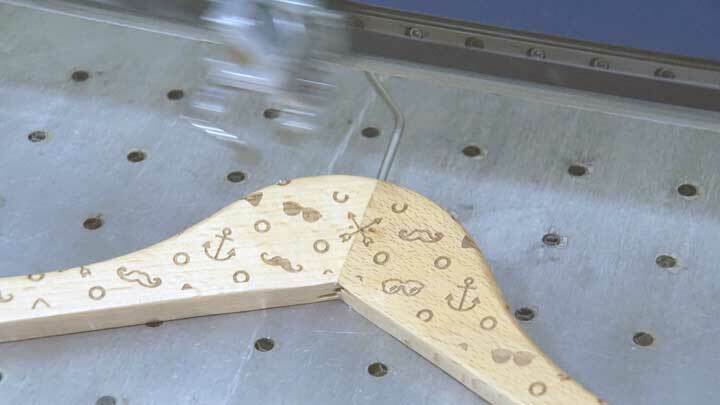 Choose from one of our designs or create your own - here we'll walk you through a few simple steps that will have you engraving your own wooden coat hangers in no time! Laser engraved wooden coat hangers. Place the hanger in the laser and adjust your home position. Wooden hangers. We purchased ours through Amazon, but you may elect to find a wholesale supplier for bulk orders. 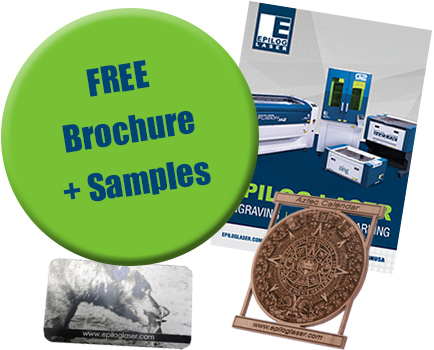 Download the engraving files and adjust the artwork accordingly. 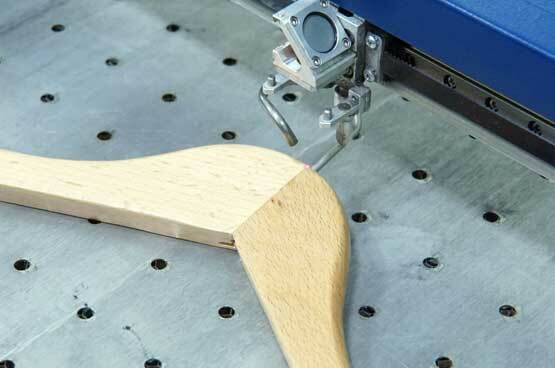 A handy tip is to scan in your hanger and create a template for your engraving. 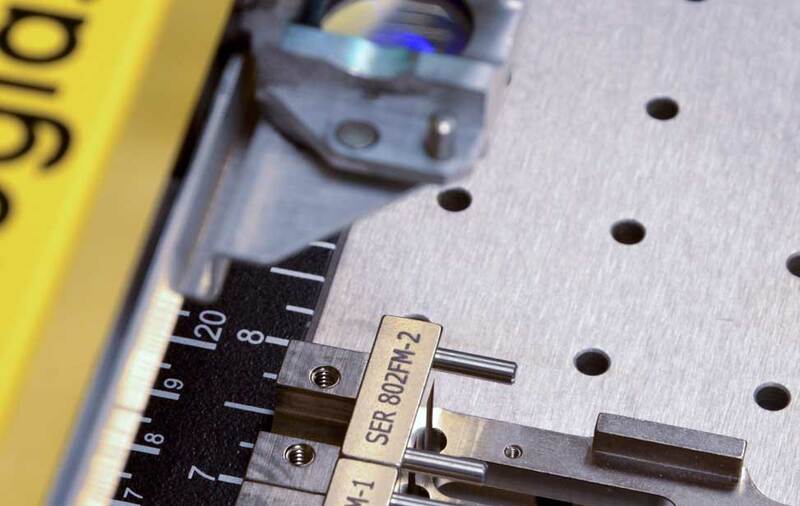 You can use the Red Dot Pointer on your Epilog Laser to preview the area to make sure the hanger is perfectly positioned on your engraving table. To Create the Hanger Outline: Scan the hanger and bring it into your graphic design software. Create an outline around the hanger for the laser to follow using your software's pen tool. 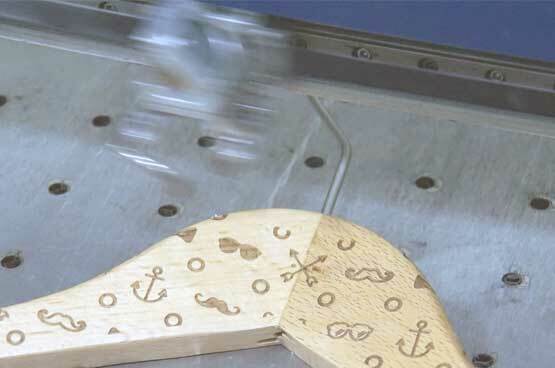 With the lid of your laser open and Red Dot Pointer turned on, send the vector outline to the laser and adjust your hanger's positioning on the engraving table. This will give you a visual indicator of where the design will engrave - adjust the template accordingly for each hanger. When you're happy with the placement, send the raster job over. 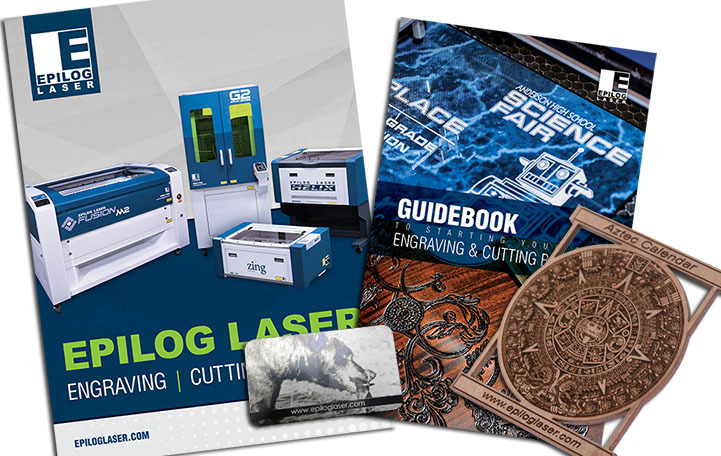 Once you have modified the artwork to your liking, it's time to laser. 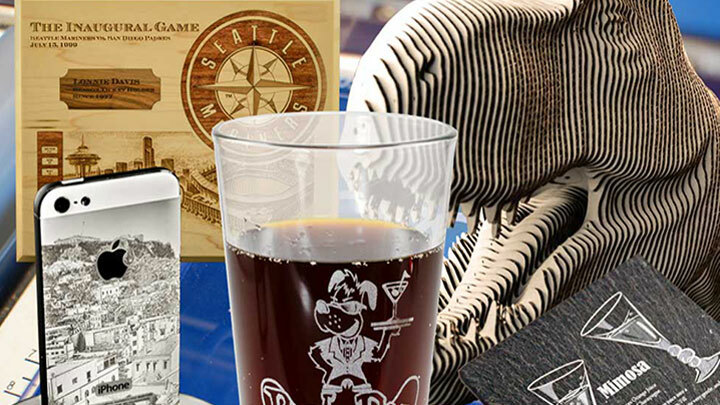 We used the top-center engraving function for this uniquely-shaped item. Insert the hanger into the system and move the home position to the top center of the hanger. Next, run the vector outline (remember to have the red dot pointer on and leave the lid open) to ensure your placement is where you want. Once you're satisfied, send the job to the laser and press go! 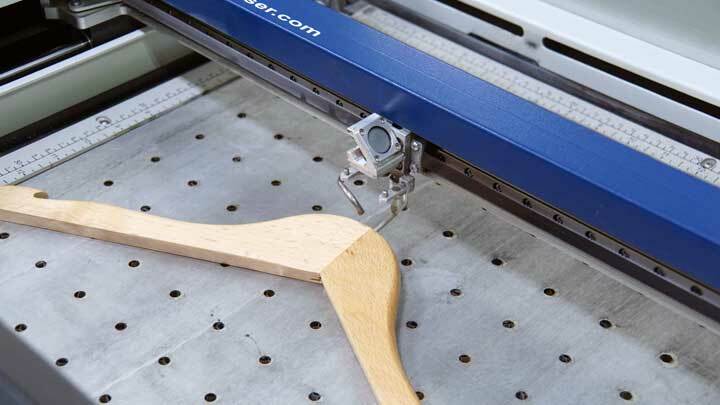 Time Saving Tip: You may find it is faster to engrave the hanger if you use Color Mapping to send the laser down one side of the hanger, then down the other. This quick change can save a surprising amount of time when you have a lot of empty space in your file. Where can you sell engraved hangers?